The SJ Games team is home again from PAX South! Andreas, Ariel, Guy, Hunter, Jimmy, and Veronica set off Thursday morning for the Alamo City. Once on site, Drew (Our Midwest Demo Team Regional Director) and I joined them and we set up the booth. Afterward, it was time to eat and rest up for the epic weekend to come. PAX South started early Friday morning, and we were ready to go! 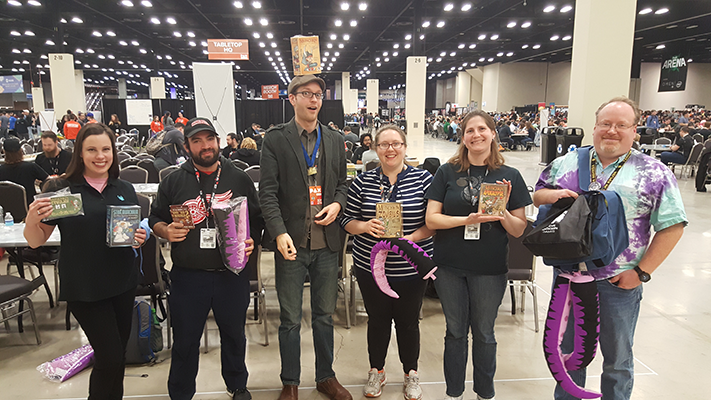 Lucky attendees were able to pick up early copies of Ghosts Love Candy and the Munchkin Apocalypse: Judge Dredd booster pack! 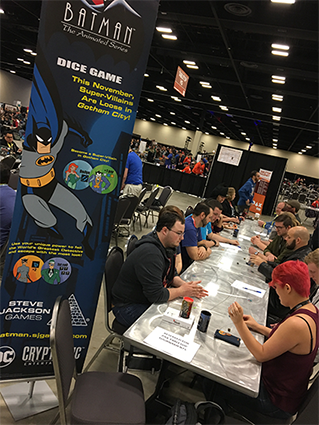 We had a great time showing off Batman: The Animated Series Dice Game to lots of wonderful people, who were also excited to play Simon's Cat Card Game, our giant Bill & Ted's Excellent Boardgame demo, and of course, lots of Munchkin. 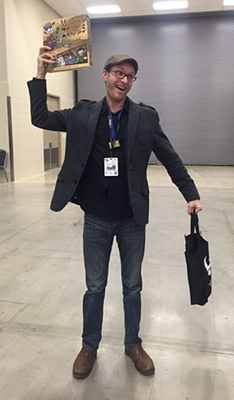 This was the third year for PAX South, and it's getting bigger and better! The convention staff did a great job organizing the event and answering everyone's questions.The Exhibit Hall was well laid out, and there was plenty of space for people to walk around and see all the new consoles, games, accessories, and more. The Tabletop Gaming Area is not only bigger than last year, but was filled with people playing games! There were plenty of tabletop game and game accessory vendors, as well as lots of room for organized play events and open play. 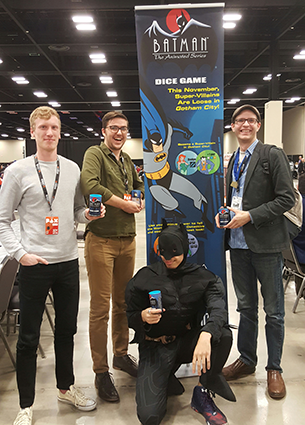 Friday afternoon, we had a great turnout for our Batman: The Animated Series Dice Game tournament. 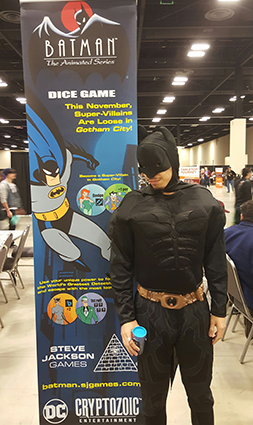 The players battled hard, but in the end, the Caped Crusader himself won the tournament! Lots of fun was had, and even more loot was taken by the players. Saturday was an amazing day at PAX South! 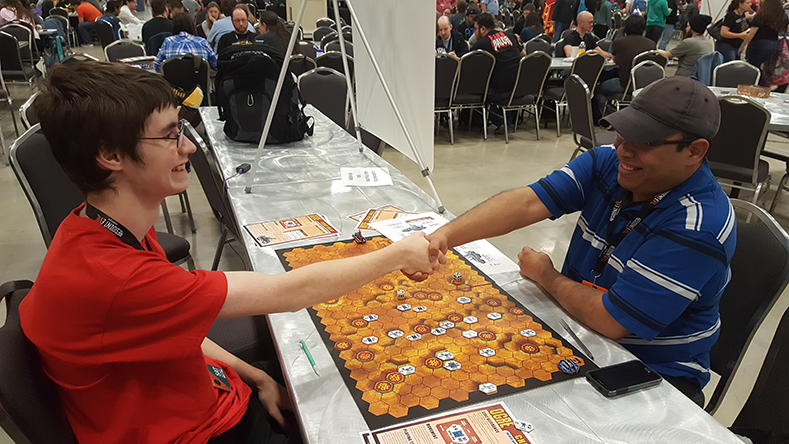 The Tabletop Gaming staff (with help from our MIB Demo Team) ran their giant Munchathlon tournament. 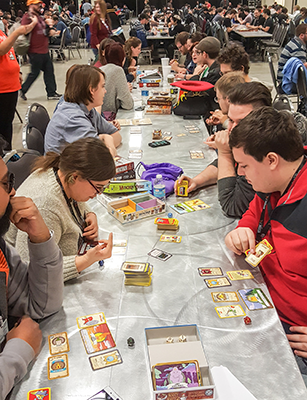 We had 36 players, and many flavors of Munchkin were played (and mashed together). 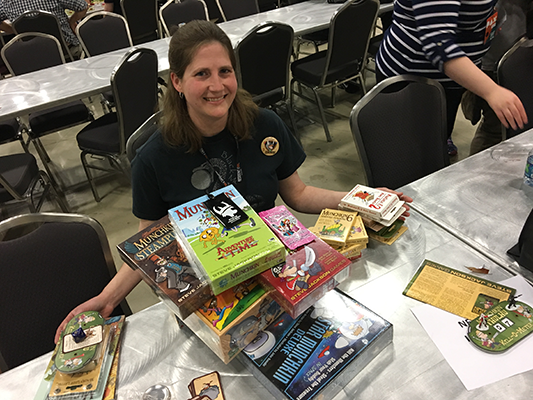 By the end of the day, a new Munchkin Queen was crowned, and she was overwhelmed by the loot she earned! Make sure to look for any Munchathlon events at future PAX events, so you can join in the fun! 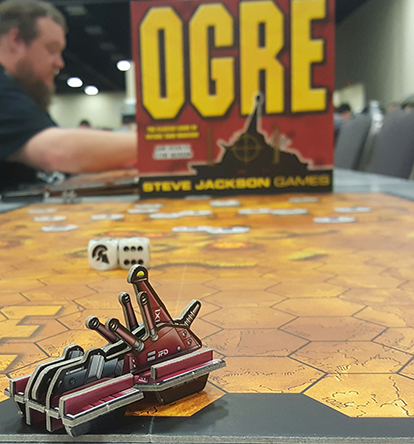 Meanwhile, a rumble from another portion of the gaming hall meant that our Ogre Sixth Edition tournament had begun (check out our unboxing video here for a sneak peek). The first round saw veteran players fall beneath the treads of their opponents, as the defenders took most of the games. In the second round, it was the Ogres' turn. Command Posts were destroyed and defenders retired to fight another day. The final round saw the defenders rally to protect the Command Post and stop the Ogre cold. The winner received a rare, blue-acrylic Ogre Mk. V miniature. Sunday was another busy day. 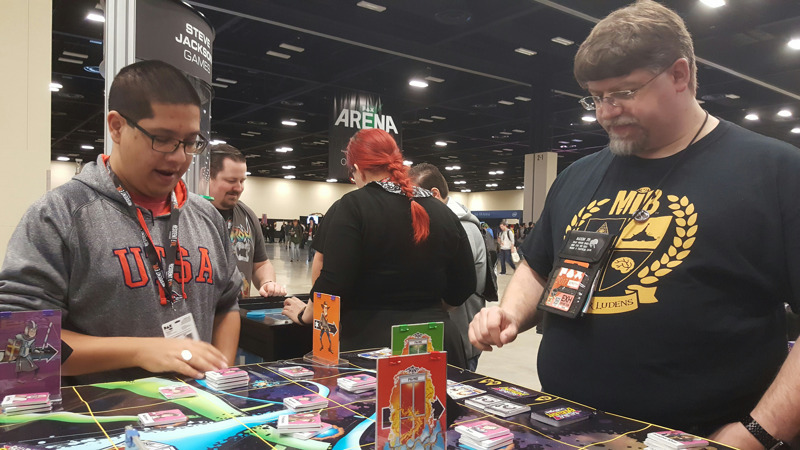 We showed off games and helped attendees make their last-minute purchases. Meanwhile, the PAX Tabletop Gaming Staff and our MIB Demo Team members ran a Zombie Dice tournament. As participants got ready, more players were drawn in by the sanity-blasting cuteness of the Zombie Chibithulhus. Once the event started, the rattling of dice attracted plenty of spectators. Dice were rolled, brains were eaten, and fun was had by all! Thanks to everyone who came by our booth and the awesome PAX South staff. We really appreciate our MIB Demo Team members Archangela, Chris, Drew, Jessica, Jonathan, and Neal, for helping with the tournaments, and running game demos in Open Gaming and our booth. If you couldn't make it to the show, you can check out our games at your friendly local game store. (If you don't have a store nearby, then check out our games at Warehouse 23.) PAX South was a great event, and we all had a wonderful time demoing our games, talking to the attendees, and even trying out some great new games. See you next year!